Perusing through the profiles of top artists, one will realise that their expertise spanned beyond one artistic genre. The biography of famous artist Leonardo da Vinci shows that he was multi-talented-hovering from painting, sculptor, architecture, music, mathematics, engineering, anatomy, geology and writing. Spanish artist Pablo Picasso was a painter, sculptor, printmaker, ceramicist, stage designer, poet and playwright. Picasso is widely considered as one of the greatest painters of all time and perhaps the most diversely talented person to have lived. Little wonder Mzuzu-based reggae star Fitzgerald Simfukwe is striving towards such an accomplishment. Simfukwe, who all along has been associated with music, has now ventured into paintings. "People who are aware of the profiles of the world's great artists will not be surprised with what I am doing; combining music and paintings work," he said. Simfukwe said he is earning a respectable livelihood through paintings. The Kadundulu hit-maker said he intends to create a website aimed at marketing his art to a wider audience. Simfukwe said he has sold a number of his paintings to companies in the country. "I started painting sometime back. I have done logos for NBS Bank, Mzuzu City Council, Tama plus signs and murals for Candlex Limited products," he said. 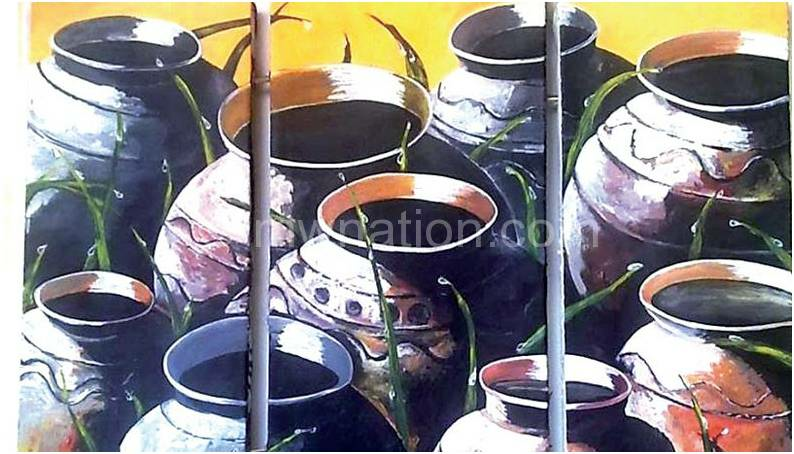 The Mzuzu-based artist said he plans to erect an art gallery in Mzuzu. "I am not comfortable with the setup in Mzuzu-the art industry is in chaos because we don't have art gallery. With what I am earning, I have planned to secure land where I will erect an art gallery where artists will showcase their art," said Simfukwe. His art style ranges from one dimensional paintings to landscapes and portraits depicting Malawi's tourism places. "Most of my customers are tourists who like paintings that depict Malawi's tourist attraction sites. Last year, I did painting titled Bird Watching at Nyika National Park, the painting got more demands," he explained.